Hurricanes was eliminated at round 3 of year 16. Charlotte Checkers was eliminated at round 2 of year 16. Hurricanes paid 0 Kč to release Mike Richards. Hurricanes paid 0 Kč to release Tomas Fleischmann. 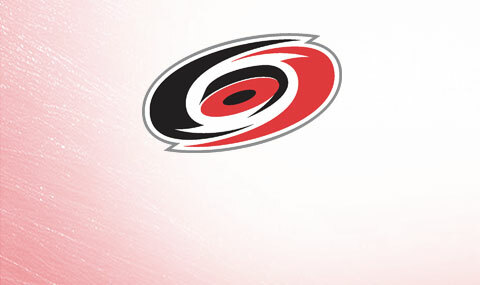 [24.05.2017 22:05:39] - Hurricanes was eliminated at round 3 of year 16. [08.07.2017 0:39:47] - Jiri Tlusty was released. [08.07.2017 0:39:47] - Hurricanes paid 0 Kč to release Jiri Tlusty. [08.07.2017 0:39:30] - Tomas Fleischmann was released. [08.07.2017 0:39:30] - Hurricanes paid 0 Kč to release Tomas Fleischmann. [08.07.2017 0:39:12] - Mike Richards was released. [08.07.2017 0:39:12] - Hurricanes paid 0 Kč to release Mike Richards. [08.07.2017 0:42:44] - Tim Heed was added to Hurricanes. [13.05.2017 22:51:45] - Charlotte Checkers was eliminated at round 2 of year 16. [08.07.2017 0:40:06] - Hurricanes paid 0 Kč to release Jeremy Welsh. [08.07.2017 0:40:06] - Jeremy Welsh was released. [08.07.2017 0:42:22] - Michal Jordan was released. [08.07.2017 0:42:22] - Hurricanes paid 0 Kč to release Michal Jordan. [08.07.2017 0:42:14] - Zach Boychuk was released. [08.07.2017 0:42:14] - Hurricanes paid 0 Kč to release Zach Boychuk. [08.07.2017 0:42:04] - Michal Jordan has been added to Hurricanes. [08.07.2017 0:42:00] - Zach Boychuk has been added to Hurricanes. [08.07.2017 0:40:21] - Bobby Sanguinetti was released. [08.07.2017 0:40:21] - Hurricanes paid 0 Kč to release Bobby Sanguinetti. [16.03.2017 23:16:59] - Matt Carle has been added to Hurricanes. [16.03.2017 23:17:02] - Matt Carle was added to Hurricanes. [16.03.2017 23:17:26] - Matt Carle was added to Hurricanes. [16.03.2017 23:17:26] - Matt Carle signed with Hurricanes for 2 000 000 Kč for 1 year(s) with 0 Kč in bonus. [27.02.2017 23:15:33] - Unknown Player is no longer captain for Charlotte Checkers. [27.02.2017 23:15:33] - Jiri Tlusty has been selected as captain for Charlotte Checkers. [01.03.2017 22:31:12] - Mike Weber was added to Hurricanes. [01.03.2017 22:31:13] - TRADE : From Oilers to Hurricanes : Mike Weber (64). [01.03.2017 22:31:13] - TRADE : From Hurricanes to Oilers : 1 Kč (Money).